In an age of exponential technological progress, audiences are now able to catch a glimpse of eight individuals who reckon with the rapidly changing components of the human condition. Viewers are also able to view the distinct protagonists as they connect with the world through technology in very different and unexpected ways. That connection with the human condition and technology can be seen in the new eight-part premium sci-fi series, ‘Glimpse,’ which airs on Thursdays on Facebook Watch. The drama, which is set in a thrilling future, will subsequently be available for free on the DUST and Futurism channels. In honor of ‘Glimpse’s fifth episode, ‘Sparky,’ premiering next Thursday, October 11 at 8am PDT, Shockya is exclusively debuting the sneak peak trailer and posters from the installment. The video and posters are being brought to audiences by Gunpowder & Sky‘s DUST and Futurism. ‘Sparky’ stars ‘Sabrina the Teenage Witch’ actress Jenna Leigh Green, as well as Avery Sloane (‘Don Jon‘) and Sam Daly (‘The Office,’ ‘Red Tails’). 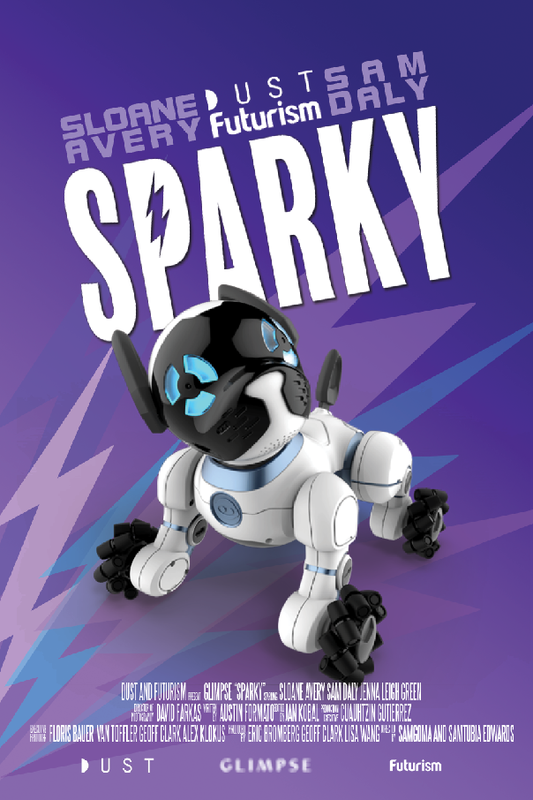 The episode follows a graphic designer as she races against time to save her ailing pet—a robotic dog named Sparky. She’s had him all her life, and that’s precisely the problem. 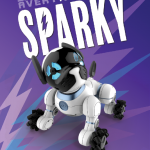 Sparky’s manufacturer has long discontinued the toy, along with the parts that could save him. ‘Glimpse’ was directed by brothers Samtubia and Samgoma Edwards. In addition to Green, Sloane and Daly, the show also features Tony Cavalero (‘School of Rock’), Leven Rambin (‘The Hunger Games,’ ‘True Detective’), Carter Jenkins (‘Famous in Love’), comedian Godfrey (‘Soul Plane’), Victoria Secret model Martha Hunt, James Kyson (‘Heroes’), Ricardo Hurtado (‘School of Rock’), Tyler Flores (‘The Dark Knight Rises’), Jessica Kemejuk (‘The Neighbor’), Russ Russo (‘An Act of War’), Tilky Jones (‘Nashville’), Quddus Philippe (‘TRL’) and Stephanie Styles (‘Three Rivers’). DUST, a division of global content studio Gunpowder & Sky, is the first premium sci-fi entertainment brand that reaches fans across all platforms. DUST presents thought-provoking science fiction content, which explores the future of humanity through the lens of science and technology. From feature movies to series and short films, DUST acquires, produces and distributes content from established and emerging filmmaking voices. DUST operates its own channels that are available on multiple platforms, including YouTube, Facebook, VRV, Pluto and Xumo. Futurism Studios is the long form content division for Futurism, one of the web’s leading science and technology publications. The studio team has produced award-winning documentaries, television shows, digital shorts and virtual reality films. In honor of Facebook Watch, DUST and Futurism's premium sci-fi series, 'Glimpse,' premiering its fifth episode, 'Sparky,' Shockya is exclusively debuting the sneak peak trailer from the installment.